Dear Friends and Admirers of Ivan Drach! 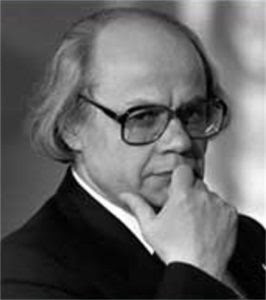 It is perhaps very fitting that on just the day after the 4th of July and our celebrating the Independence of America, we at the U.S.-Ukraine Foundation launch our remembrances of Ivan Drach, one of the founders of the Independence of Ukraine. We invite you to share your thoughts, remembrances and photos of Ivan Drach. 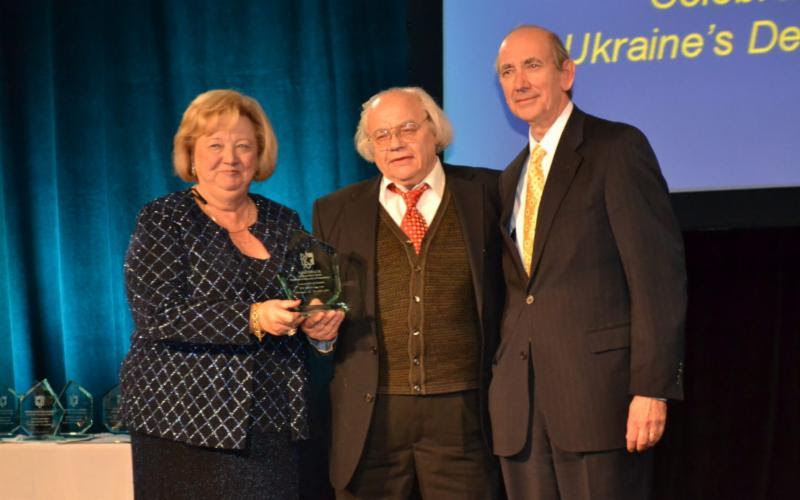 We were very fortunate to have honored Ivan Drach [photo above] during our Ukraine in Washington event, held on December 1, 2011 on the 20th anniversary of the Independence of Ukraine. Ivan Drach, a giant in Ukraine's movement to independence died June 19 in Kyiv hospital at the age of 81. Drach, a long-time member of the Writer's Union of Ukraine, was a respected and award- winning poet and screenwriter. With his poem "Knife in the Sun," he first came into national prominence during "The Thaw" - a brief period of political and cultural liberalization under then Soviet leader Nikita Khrushchev. Twenty years later, Drach again came to national and international prominence as a political activist during the Soviet Union's Perestroika period in the late 1980s and then during the early years of Ukraine's independence. The numbers of young men from Ukraine lost in the Soviet Union's war in Afghanistan and handling of the Chornobyl explosion led to Ukraine's civil society becoming restless with directives from what was euphemistically known as "the center" (Moscow) and distrustful of leaders in the Kremlin. In what began in late 1988 as an initiative of the Writer's Union of Ukraine, a year later had become a national movement. In September, 1989, at the founding congress of the "Popular Movement of Ukraine" (Narodniy Rukh Ukrainy), a grassroots opposition movement known worldwide simply as "Rukh," Drach was elected chairman and, subsequently, Mykhailo Horyn, a political dissident who had survived the Soviet Gulag, was elected head of Rukh's secretariat. The pair combined focused vision with determined leadership and guided the organization, and civil society, through a tumultuous period in history. IVAN DRACH. Just the mention of his name brings to mind symbols and recognition to every Ukrainian. On June 19, 2018, we bid farewell to Ukraine's bard of poetry, a brilliant screenwriter of award winning films, a leader, a patriot, the first chairman of the Movement for Independence known as RUKH. My parents' generation followed his writings when he first came to prominence with the publication of his "Ballad for The Sunflower", published in the journal Literaturna Ukraina in 1962. With that poem, he broke the codes of Soviet regimented poetry. He began a cycle in literature that exploded with fantasy and a free spirit, and metaphors - symbols that people interpreted as allusions to their own lives and the fate of the nation. Often called the conscience of the nation, his destiny became intertwined in poetry, cinema, politics, and public activities. A man of unquenchable thirst for revolt and personal initiative, both in literature and politics, he was driven by a profound concern for Ukraine's destiny and for unity of the nation. "The Sunflower" became an allegory for the poet who must seek higher ground, symbolic of the human being holding his/her head up high like the sunflower, and as a consequence, a symbol of the nation deserving of dignity and freedom, energized and illuminated by the sun, symbolic of a higher Being. At the time, it was revolutionary. It was with deep sadness that I learned of the passing of Ivan Drach, a Ukrainian patriot who overcame the Soviet occupation regime on the way to becoming a leading voice of his country's anti-totalitarian consciousness. While his death is a loss for good people everywhere, including our country, Mr. Drach's life was a celebration of Ukraine's unrelenting spirit and its history, its culture and its language. For me, his passing is also a reminder of how Mr. Drach's work and ideas influenced my life and shaped my understanding of the country of my birth. My family was anti-Soviet, and it was from my father that I learned about the brutalities imposed on Ukraine and its people by that criminal regime, including the Holodomor genocidal famine. Speaking of my father, he was one of only three instructors at the Kyiv Polytechnic Institute to lecture in Ukrainian and the only non-ethnic Ukrainian to do so. As a result, it was quite natural that the ideas advocated by Mr. Drach and the other nationally conscious Ukrainian cultural figures appealed to me. One of my life's many blessings and privileges was meeting Ivan and Maria Drach, witnessing their work which led to the Independence of Ukraine. Five days before his death, I spoke at the annual Ukraine's Quest Conference in Washington on the topic of civil society. 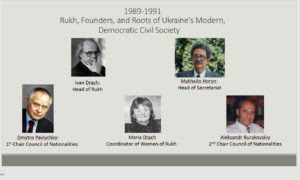 Key to my presentation was identifying the founders of the People's Movement of Ukraine Rukh. Those leaders who' s work from 1989 thru 1991, resulted in the 93% referendum vote for Independence on December 1, 1991 and who laid the foundation for today's civil society in Ukraine. Much could and should be written and recognized about their achievements, especially the role of the acclaimed writer and poet Ivan Drach. So many memories, but I will recall here two from those early years, which for me revealed so much about Ivan Drach the man. Ivan Drach will always be remembered for his dedication and selfless service on behalf of Ukrainian independence and democracy. His struggle began under the Soviet regime as a strong advocate of Ukraine and a defender of human rights. As a founding member of Rukh, he was in the forefront of the struggle for Ukraine' s independence and, as an accomplished poet, he eloquently expressed the consciousness and goals of the Ukrainian nation. In this regard, one of his major political contributions was to recognize Ukraine's multi-ethnic nature and the strength this provided the new state. He spoke of the "people of Ukraine," an affirmation of the inclusiveness of the new state. He leaves an enduring legacy in politics and literature that will influence future generations. I greatly appreciated his friendship, counsel and observations on political developments. In the turmoil of the early days of independence, he exhibited a down to earth sensibility that helped guide the young nation in its early stages. Through all his political activities, however, he never lost sight of the human element, the need to treat all with dignity and respect. His kindness and generosity touched everyone and left a lasting impression. Irene K. Joseph (second from left) receives an award from USUF for her generous support of the Fundation's Biotechnology Initiative. Also pictured, from left, are USUF's Nadia K. McConnell, John A. Kun and Amb. Roman Popadiuk. (Credit: Adrian Karmazyn). The U.S.-Ukraine Foundation (USUF), a U.S. 501(c)(3) nonprofit, nongovernmental organization established in 1991 to support democracy, a free market and human rights for Ukraine has recently undertaken a variety of new initiatives aimed at assisting Ukraine in its economic reform efforts and in building a stable, democratic society. A new leadership structure has been put in place to help move these initiatives forward, including the election of new members to the USUF Board of Directors. The Board is comprised of Roman Popadiuk, Chairman and first U.S. Ambassador to Ukraine; Orest Deychakiwsky, Vice-Chairman and retired member of the U.S. Helsinki Commission; Temuri Yakobashvili, Georgia's former Ambassador to the U.S.; George Masiuk, a retired senior telecommunications engineer who has worked in support of NASA, DoD and the FAA; Michael Snytkin, an attorney at Randolph Law; David Rigsby, defense consultant; Bob Heath, retired United States Information Agency officer; William Green Miller, former U.S. 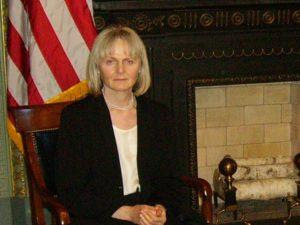 Ambassador to Ukraine and James O'Beirne, Special Assistant to the Secretary of Defense for White House Liaison. Nadia K. McConnell, co-founder of the Foundation, will now serve as President of USUF and as a member of the board. John A. Kun will continue as Vice President and Chief Operating Officer. Markian Bilynskyj will continue to serve as a Vice President and as head of the Foundation's Kyiv office. He will also supervise the Pylyp Orlyk Institute of Democracy in Kyiv, which was founded by USUF. Adrian Karmazyn, former Chief of VOA's Ukrainian Service, will continue as Special Advisor for Strategic Communications and Development. Vera Andrushkiw continues in her role as Vice President for External Relations. The Board acknowledges the dedication and service of previous board members Jack Heller, Iryna Kurowyckyj and Renata Zajac. "The Board of Directors greatly appreciates the service of our past members," stated Board Chairman Roman Popadiuk. "They were instrumental in the Foundation's successes over the years and we look forward to their continuing involvement and guidance. As a result of our past efforts, the Foundation is well positioned to move forward in helping to continue strengthening U.S.-Ukraine relations, in assisting Ukraine in its reform process, in expanding networks among all sectors of U.S. and Ukrainian society and in spurring mutual investment and business development." The U.S.-Ukraine Foundation is the initiator of the Friends of Ukraine Network (FOUN), a non-partisan, informal coalition of former ambassadors, leading foreign policy and international security professionals, and other experts who have dealt with key aspects of Ukraine's relations with the U.S. and the international community. In 2017 FOUN had four task force areas of focus: National Security, Economy and Energy, Humanitarian, and Democracy, Civil Society, Media and Educational Development. FOUN's 2017 Priority Recommendations for U.S. Assistance was produced as a practical and actionable set of policy recommendations to: stand with the People of Ukraine, support civil society's fight against corruption, allow the People of Ukraine to defend themselves, and help victims of Putin's war. It was broadly distributed and discussed with key Members of Congress and the Administration. The Foundation has launched a Biotechnology Initiative to support the development of the highly-promising biotech sector in Ukraine. Over the next few years this initiative will be of particular focus for the Foundation. 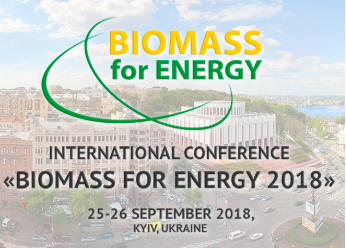 The goals of the project are to highlight the biotech capabilities of Ukraine, to establish strong scientific links between the U.S. and Ukraine, to help identify leading scientists and entrepreneurs in Ukraine's biotech sector, and to facilitate business development in the biotech sector between the U.S. and Ukraine. There will be a particular effort on identifying and assisting promising start-ups. This project has been made possible through the support of Ms. Irene K. Joseph, co-founder of the biotechnology company Cygnus Technologies. As Vice President for Sales and Marketing for over 20 years, she led the company to its peak growth performance and market leadership position. "We are grateful to Ms. Joseph for her support and look forward to working with her," stated Ms. McConnell. "Ukraine has a strong developing biotech sector and we hope to help move it forward and make it an integral part of Ukraine's economy." 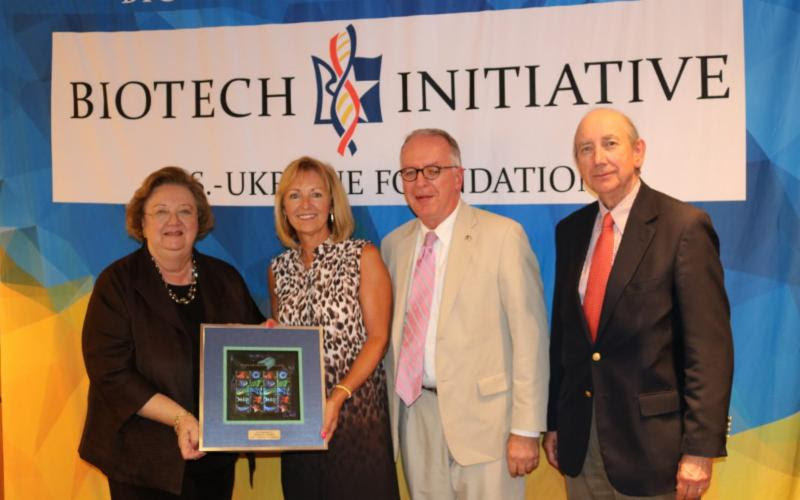 To initiate the project, the Foundation and Ukraine's Ambassador Valeriy Chaly hosted a luncheon at the Ukrainian Embassy in Washington on June 11th, which included Ms. Joseph as the guest of honor and members of the U.S. government, biotech industries and others involved in the biotech sector. Check out USUF's newest initiative, This Day in History, composed daily by Robert McConnell. Those who do not remember history are condemned to repeat it. Those who do not know history are easy consumers for the ongoing disinformation and propaganda spewing from the Kremlin. Recalling some of the events of the past provides valuable lessons on how to avoid the same pitfalls. Knowing historical facts can provide immediate relief to the onslaught of age-old propaganda where information or ideas are being spread to influence opinions and policy especially by not giving all the facts, and with disinformation, where false information is spread deliberately to deceive. , an initiative of the U.S.-Ukraine Foundation. The photo is from the NATO website. 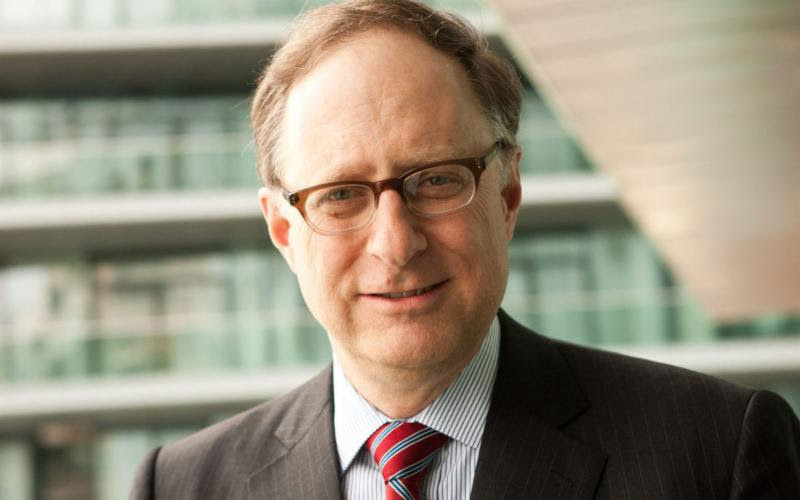 Ambassador Vershbow also covers these issues in an opinion piece in The Hill. "While not a replacement for [NATO] membership, inviting Ukraine to become an Enhanced Opportunities Partner is the natural next step in Kyiv's relationship with NATO. NATO launched the Enhanced Opportunities Partnership for Dialogue and Cooperation in 2014. Its goal was to strengthen the interoperability developed between allies and key partners in the aftermath of the ISAF mission in Afghanistan. EOP status is awarded to those partners which have most significantly contributed to NATO missions. The list of designated countries remains small, comprising Australia, Finland, Georgia, Jordan, and Sweden. Ukraine does not count among them, but Kyiv has more than met the criteria needed to earn this designation [through its contribution to NATO missions]... [Additionally,] Ukraine currently contributes 5 percent of its gross domestic product to defense, more than any NATO ally. Four years of war against Russian-backed forces in the Donbas have forged the most battle-hardened troops on the European continent and bolstered a significant military-industrial sector. Ukrainian capabilities, knowledge, and technical expertise would be of significant value to the Alliance. No one else has as much knowledge of Russia as Ukraine, nor as much practical expertise in combatting Russian use of cyber-attacks, disinformation, and other forms of "hybrid warfare" aimed at undermining our democracies. Ukraine will also play a major role in Alliance efforts to strengthen its security in the Black Sea in order to protect NATO's southeastern flank. EOP status would recognize that special relationship and take the partnership to the next level. It would bring Kyiv into more political consultations with NATO at the ambassadorial and working level, would grant it more access to exercises, and would increase information sharing. Far from being a one-way relationship, it would also significantly enhance NATO's expertise and operational skills. Some allies may be reluctant to support this step, but strong U.S. leadership could make it happen." Herman Pirchner, President of the American Foreign Policy Council, spoke at a recent (June 15, 2018) Helsinki Commission Briefing, entitled Reality vs. Rhetoric: Assessing the Trump Administration's Russia Policy. In its announcement about the briefing, the Helsinki Commission wrote: "The polarization of views surrounding President Trump and Russia continues to complicate an objective assessment of administration policy toward Moscow. Despite repeated comments by President Trump expressing a desire to improve relations with Russia, the U.S. Government continues to advance what is arguably the toughest policy toward the Kremlin since Ronald Reagan's first term. This public briefing discussed the relative value Vladimir Putin places on conciliatory gestures vs. actual concessions that seem increasingly unlikely to materialize. It also assessed the likely trajectory of U.S.-Russia relations for the remainder of the Trump presidency." In an on-camera interview, the U.S.-Ukraine Foundation asked Herman Pirchner to summarize the main message of his presentation at the Helsinki Commission briefing. USUF also asked him what he'll be watching for in terms of next steps in U.S.-Russia relations. The interview was conducted by Adrian Karmazyn of USUF. Herman Pirchner is a member of the Friends of Ukraine Network, an initiative of the U.S.-Ukraine Foundation. It seems incongruous that Helsinki was chosen as the location for the summit between President Trump and Russian President Vladimir Putin. Russia is a signatory to a seminal international agreement called the Helsinki Final Act, signed in Helsinki in 1975. Yet it routinely flouts the act's human rights and security provisions. And with its invasion of Ukraine, Russia flagrantly violated every one of 10 core principles of the Organization for Security and Cooperation in Europe (OSCE) enshrined in the Helsinki Final Act, including territorial integrity, inviolability of borders, sovereign equality and refraining from the threat or use of force. A successful summit requires that Russia live up to its international commitments, including the one that bears the name of the city in which the summit will be held. Note: Orest Deychakiwsky is a member of USUF's Board of Directors. SABIT program Ukrainian startup entrepreneurs at USUF. From left: Adrian Karmazyn (USUF), Andrii Borysov. Svitlana "Lana" Malovana, John Kun (USUF), Anastasiia Zahorodniuk, Pavlo Aleksievych and Ruslana Dovzhyk. Seven Ukrainian entrepreneurs were members of an international IT Startups delegation that came to the United States under the auspices of the Commerce Department's Special American Business Internship Training (SABIT) program. According to Tanner Johnson of SABIT, the goal of the program was to introduce these entrepreneurs to several U.S. startup ecosystems with the potential of future business collaboration and development. The group's meetings and networking opportunities included acceleration programs, venture capital investors, American entrepreneurs, and service providers in areas like finance, tax, and legal consultations. The delegation traveled to New York City, Boulder (Colorado), Silicon Valley (California) and Washington DC. While in the capital area, they visited the U.S.-Ukraine Foundation (on June 29), where the Ukrainian startup entrepreneurs talked about their companies and their unique, promising innovations. During the discussion, they spoke enthusiastically and confidently about their businesses, saying that launching a startup in Ukraine is "easy" - while acknowledging that they need assistance in reaching out to developers, scaling up production and accessing U.S. expertise in finding their niche in a huge, competitive global market. In an interview with VOA's Yulya Yarmolenko, Mr. Sakun described his company's voice mask for conducting private smartphone conversations in open offices spaces and public places. The device made quite a splash at the 2017 Consumer Electronics Show in Las Vegas. Vast stretches of flat land. Rich, black soil. A temperate climate. Ukraine is a country ideal for agriculture, where many of the world's staple crops flourish. But, starved of investment since Soviet times, Ukraine's farmers still see far lower yields per hectare than their European neighbors. While the sector now accounts for over 30 percent of Ukraine's exports and 12 percent of its gross domestic product of $100 billion annually, much of Ukraine's agricultural potential has gone untapped. One way to change this is agritech - bringing advanced information technology to the field. Ring Ukraine, the home security products company, was acquired in 2018 by Amazon, the e-commerce retailer, for more than $1 Billion. 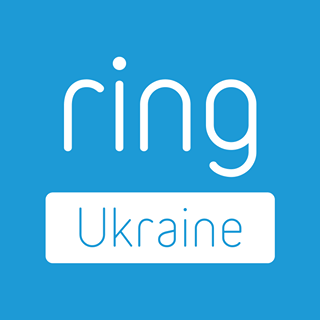 A key piece of Ring's success story is the August 2016 opening in Kyiv, Ukraine, of a small R&D office to work with computer vision and machine learning technologies. Ring Ukraine COO Kira Rudiktalks about how this happened, the growth of the operation from a staff of 10 to 500 and plans for the future. For additional information, contact Michael Buryk at: mikeb@mburykassociates.com. Your participation is extremely important to our programming! 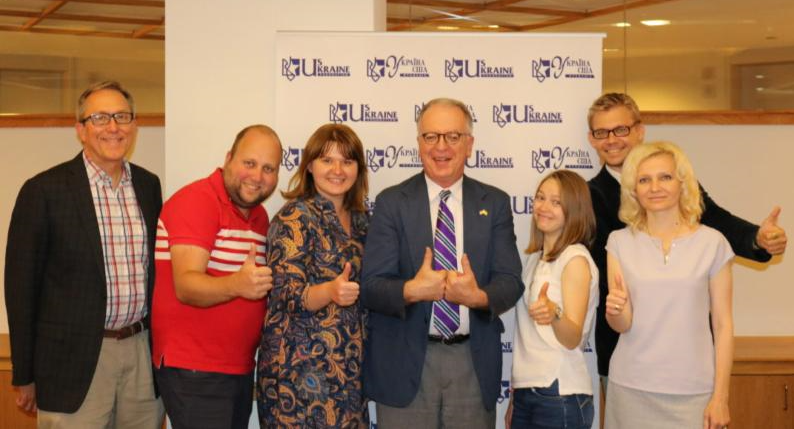 The U.S.-Ukraine Foundation's new website has been created by Steven May, Jr. and his talented team associated with Ask the Egghead. Steven May Jr., aka lead egghead at Ask the Egghead, has over 25 years of career experience that spans multiple business models and sectors. 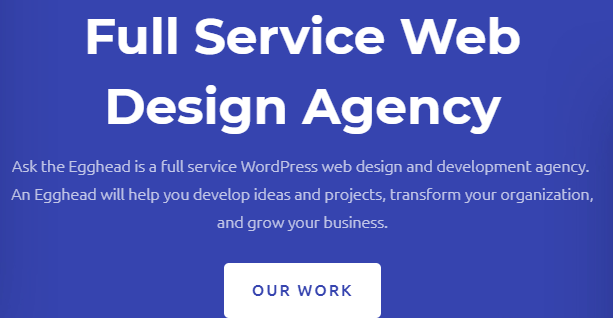 If you need website support,Ask the Egghead!